The Essence of the predominant energy I radiate out into the world will in time be reflected back to me ! Nothing ever happens to me that is not a part of my Vibration! If the Essence of my predominant energy is of a High Vibrational Frequency such as Abundance, Gratitude, Appreciation, Health, Well-Being, Peace, Love, Joy, Happiness, Beauty, Harmony, Acceptance, Kindness, Support, Forgiveness, Compassion, or the like . . . then in time this Essence will return to me. If the Essence of my predominant energy is of a Low Vibrational Frequency such as Illness, Hatred, Frustration, Judgment, Fear, Doubt, Worry, Lack, and Limitations or the like . . . then in time this Essence will return to me. I can tell by how I am feeling whether my Vibration is in a place where I am allowing Universal Forces to deliver what I desire . . . or not. If I pay attention to how I am feeling as I am thinking about a subject, I can become aware of the Vibration I am sending out at that moment . 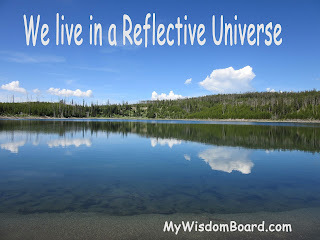 . . and because we live in a reflective Universe . . . if I become aware of this repeatedly . . . I raise my awareness about which Vibration I am sending out most consistently and predominantly . 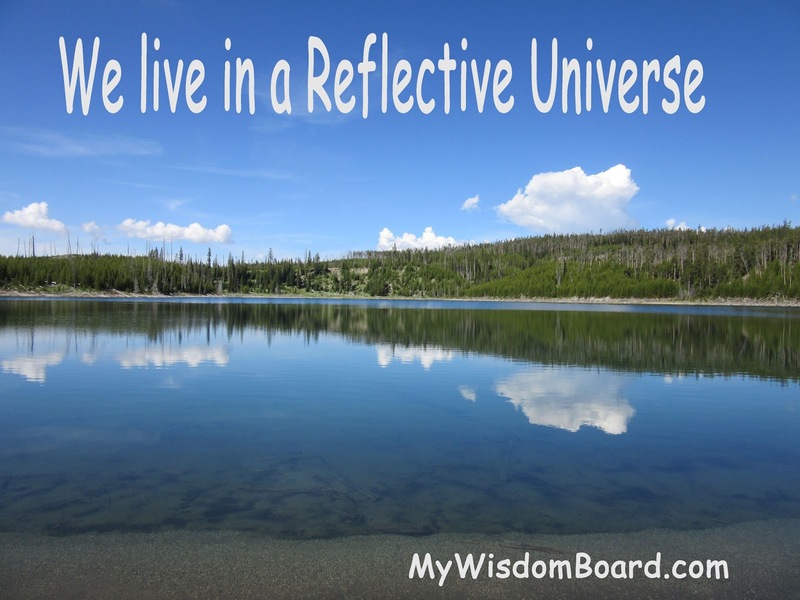 . . it will then let me know what the Universe will (in time) reflect back to me . . . and whether my Vibration is in a place where I am Allowing Universal Forces to deliver what I desire, or something else.